Rent FARMiCiA | Corporate Events | Wedding Locations, Event Spaces and Party Venues. ocated in Philadelphia’s historic Old City, FARMiCiA is a 122-seat restaurant and bar serving breakfast, lunch, an afternoon meal, a relaxed dinner, and brunch on the weekends. 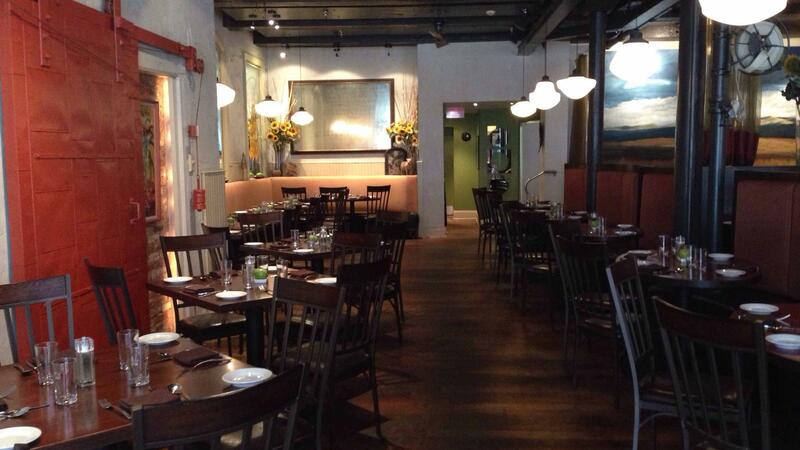 The Farm Bar hosts a lively and sophisticated environment for those who seek out new and interesting places to dine. FARMiCiA is the conception of Kevin Klause (formerly of the White Dog Cafe), James Barrett and Wendy Smith Born (owners of Metropolitan Bakery), who share a vision of a restaurant that captures the pleasures of simply crafted food and excellent beverages served in a relaxed yet lively environment. The emphasis is on great tasting food and beverages crafted from local, organic, and artisanal producers. The entire restaurant can accommodate 180 guests for standing events such as Cocktail Parties and can be configured to your specifications for seated events for up to 119 guests.